Nicanotes: The NICA Act – What Is It and Why Should it be Opposed? Editor’s NOTE: US Ambassador Laura Dagu reportedly has said that the Senate could vote on the NICA Act “any day now.” It is important that we let our Senators know that we oppose its passage and that the arguments for it are based on false premises. John Perry provides below a comprehensive counter argument especially crafted to respond to points made by Sen. Patrick Leahy (D-VT) in a response to a constituent. your two Senators (assuming you are a US resident or voter). You can modify the letter, and with all the talking points John provides us with below, that should be easy, or you can send the sample message we wrote when the NICA Act (S.2265) was first introduced in the Senate. The Nicaragua Investment Conditionality Act (NICA Act), was first introduced in the House of Representatives in July 2016 by Rep. Ileana Ros-Lehtinen (R-FL) where it passed by unanimous consent but died in the Senate without hearings or a vote. Reintroduced and passed by the House by unanimous consent in 2017, the NICA Act would require the US’s representatives on a range of international lending institutions to vote against loans and grants to Nicaragua, until Nicaragua takes “effective steps to hold free, fair, and transparent elections.” The US has effective veto power in most of the multilateral lending institutions. The NICA Act goes on to make Nicaragua’s access to the international banking system also contingent on Nicaragua showing that it will “promote democracy, as well as an independent judiciary system and electoral council,” “strengthen the rule of law” and “respect the right to freedom of association and expression.” It does not define any of these terms but requires that the Secretary of State “certifies and reports to the appropriate congressional committees” that the requirements are being met. Among those co-sponsoring the bill in the Senate are Senator Patrick Leahy (D-VT), who has a strong interest in Central American issues and has supported the drive to restore democracy in Honduras after a military coup and electoral fraud in that country. 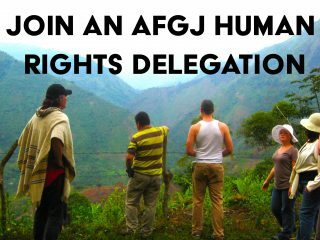 He has held up the disbursement of a percentage of US military aid to Guatemala and Honduras based on human rights violations. This paper looks at these arguments and also at the possible effects of the NICA Act if it were to be implemented. Anyone living in or visiting Nicaragua will attest to the fact that it is one of the safest countries in Latin America, with the lowest regional homicide rate, a police force regarded as a model in the region for its community-based policing, few if any violent gangs, effectiveness in tackling drug trafficking and the corruption often linked to it, respect for LGBT rights, absence of murders of political figures or journalists, absence of political prisoners and the presence of a free press. Those with knowledge of countries such as Guatemala and Honduras often also remark on the uninhibited political discussions that it is possible to have with ordinary Nicaraguans, who are not afraid to share their opinions and often do so vociferously, in contrast to neighbouring countries. The notion that their ‘human rights’ are being suppressed is not one that would be popularly recognised. Three main national newspapers publish independently, without any restrictions, two strongly opposing the current government while the third is more balanced. 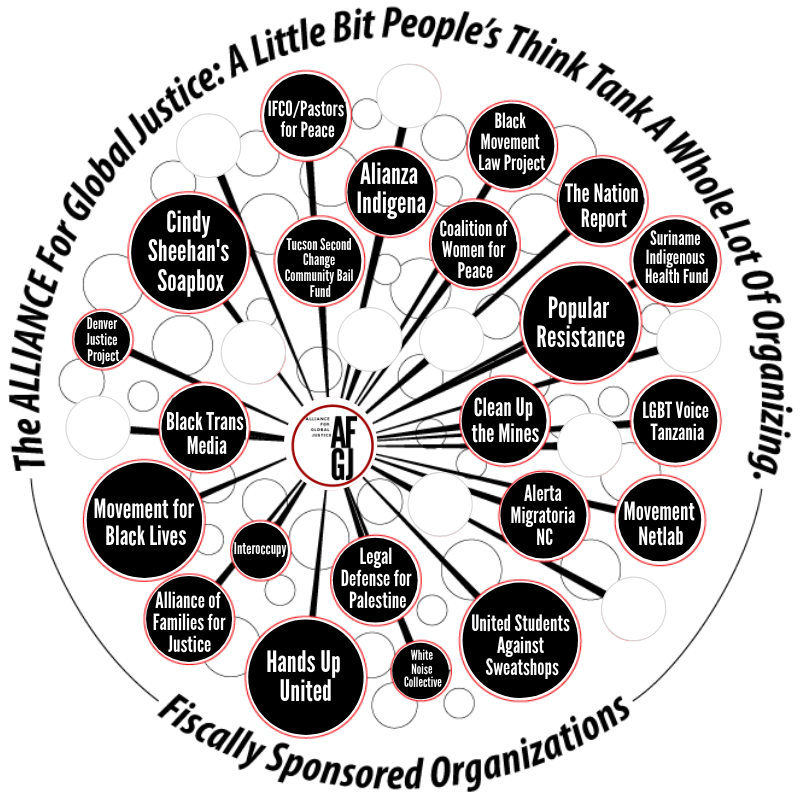 TV channels are owned both by opposition groups and by government-supporting groups and the former often contain programs critical of government policies or government figures. There have never been attempts to close down opposition TV channels. Unlike Honduras, there are no plans to censure social media and everyone has free access to internet in public spaces such as parks. Telecommunications, internet providers, etc. are all private companies. Reporters Without Borders ranks Nicaragua 92 out of 180 countries for freedom of expression. It is true that it has fallen several places since its last assessment, but it is still well above nearby countries such as Panama, Honduras, Mexico and Colombia, as well as most of Africa and much of Asia. The argument that there is not a ‘free press’ is therefore without any justification. There have been claims by opposition groups of repression of political demonstrations. While there have been clashes between police and protestors on some occasions, it is clear these often result from provocative acts by demonstrators. In any event – to take one example – one of the main groups protesting the construction of the planned interoceanic canal has been able to hold more than 80 demonstrations (even though its supporters often carry weapons such as machetes to the demonstrations). Criticisms of the government are commonly voiced in conversation and no one would take seriously any assertion that people are afraid to make their opinions known. Nicaragua is judged by the World Economic Forum to be one of the best countries in the world for gender equality, occupying 6th position out of 145 countries. It scores particularly highly in political empowerment, health and education. It has the fifth highest share of female parliamentarians in the world. Nicaragua is also judged by the UN to rank 45th in the ‘world happiness index’ which assesses matters such as gross national product, social support, life expectancy, freedom to make choices, generosity and perceived corruption. Nicaragua was the country that made most progress in these indices in 2017, of 155 examined by the UN. Domestic violence remains a considerable problem in Nicaragua but one that is being addressed by the Ministry of the Family, the police and the courts. Nicaragua has an incidence level of 0.29 on an international index of domestic violence, which is unsatisfactory but better than most other Latin American countries and better than the United States (0.35). One region of Nicaragua remains problematic in human rights terms – part of the north-eastern corner of the country, bordering Honduras. There have been numerous deaths in the past few years in struggles for land rights between settlers from elsewhere in Nicaragua and indigenous communities. However in 2017 there was a considerable reduction in such deaths compared with 2015 and 2016. It is important to note that support for the current government is high, consistently two-thirds or more of those questioned in independent polls by CID-Gallup, M&R Consultants, Borge Associates, etc. President Daniel Ortega and other government functionaries such as the head of police also maintain high levels of public support in such polls. Given the ineffectiveness of opposition political parties in developing any alternative program for governance, the fact that Ortega has twice been returned to power since 2007, should not be surprising. The most recent, November 2017, elections were for municipalities – mayors, vice-mayors, and city councils. During the preparations for these elections Representative Ileana Ros-Lehtinen was promoting the NICA Act because of the alleged inadequacy of the electoral arrangements. Yet the US government subsequently welcomed the ‘transparency’ that it considered had been brought to the elections by the presence of OAS observers. The OAS had 60 staff working in the country during the election period. Its report identified ‘weaknesses typical of all electoral processes’ that have “not affected substantially the popular will expressed through the vote.” The Nicaraguan government has accepted the criticisms and pledged to work with the OAS to continue to strengthen the institutionality and transparency of its electoral processes. It is true that there are problems of corruption in Nicaragua, but it is far from evident that these are worse than many other Latin American countries. All of the neighbouring countries, from Mexico to Colombia, and including Costa Rica and Panama, have had well-publicized and recent incidents of corruption at high levels of government, as we have seen with the arrest and imprisonment of a former president in Guatemala, accusations of corruption in the recent expansion of the Panama Canal, and many others. The president of Costa Rica until 2014, Laura Chinchilla, is currently accused of 14 cases of corruption. As is well known, corruption is rife in Honduras and has required a special commission established by the OAS, the president of which resigned recently because of lack of co-operation from the Honduran government. In Nicaragua, in contrast, any accusations of corruption are rarely accompanied by any detail from the accusers. One recent exception is the allegations against Roberto Rivas, president of the Supreme Electoral Council (CSE), who was sanctioned by the US government in December. In response to concerns, in February the Nicaraguan government removed the majority of Rivas’ functions as head of the CSE and handed them to his deputy. An example of positive action by Nicaragua against corruption is in measures to tackle money laundering. Nicaragua is regularly assessed by the Financial Action Task Force (FATF), the international body which monitors each country’s efforts to tackle money laundering and financing of terrorism. Until two years ago, Nicaragua was on the FATF’s list of ‘high risk’ countries. However at that point it was removed from the FATF ‘high risk’ list, because it is co-operating with international bodies in strengthening its controls against money laundering. The last report on the Nicaraguan economy from the IMF recognized the advances made against money laundering and called on the government to continue the efforts it is making in this respect. Nicaragua recognizes that there are problems of corruption in the judiciary and has a program to tackle this systematically by removing judges who are proved to be corrupt. Judges are nominated by the President and elected by the National Assembly in a process similar to the United States and most Western democracies. Given that the Sandinista party has been in power for over 10 years, it is simply a function of democracy that most judicial officials lean toward Sandinismo just as it was logical that from 1990-2007 very few judges were Sandinista sympathizers. • Being the first country to meet the UN Millennial Development Goals for tackling malnutrition, for which it was praised by the UN. • Halving levels of poverty and extreme poverty. Between 2009 and 2014, the general poverty rate fell from 42.5% to 29.6% and has since fallen further. • Being declared a country that is ‘illiteracy free’ by UNESCO. • Achieving progress on the UN Human Development Index so that it now ranks above Honduras and Guatemala and has a longer life expectancy than either of these countries or El Salvador. Its gender development index is higher than Mexico’s – a far wealthier country. • Rebuilding many hospitals and ensuring all cities and neighborhoods have access to free health services, including 24-hour health centres as well as public hospitals in many areas. • Having water and sanitation plans that have substantially increased coverage, leading to the achievement of the corresponding Millennium Development Goals. • Becoming one of the safest countries in the hemisphere, because of its low levels of violent crime. • Addressing issues of energy shortages and over dependence on fossil fuels – having inherited a situation in which over 80% of electricity was generated from bunker fuel, the Ortega government has turned Nicaragua into what the World Bank calls “a renewable energy paradise”, reaching 54% of generation from renewables in 2017 and having a goal to reach 90% by 2020. It has also extended electricity coverage from only half the population in 1990 to 94% at the start of 2018. One outcome of these huge achievements is that – in contrast to the ‘northern triangle’ countries of Honduras, Guatemala and El Salvador – Nicaragua produces only a very small proportion of the thousands of undocumented migrants who travel north to Mexico and the US. Nicaragua has access to finance from a number of international institutions which could be ended if the NICA Act were approved and then enforced. The principal institutions are the World Bank and its associated institutions, the IMF, and the Inter-American Development Bank. All three of these have expressed recent satisfaction with the ways in which Nicaragua has spent the finance provided – there have been no allegations of corruption or misuse of funds by these bodies. The IMF has also expressed its concern about the effect on Nicaragua of the NICA Act, if implemented. Here are examples of how projects benefitting ordinary Nicaraguans would suffer if the NICA Act were enforced and these loans were stopped, and the current attitudes of the World Bank and IDB towards the government of Nicaragua. • Through “casas maternas,” or maternity waiting homes, maternal and infant health has improved: from 2012 to 2015, the percentage of pregnant women receiving four prenatal controls increased from 50 to 73; institutional deliveries increased from 72 percent to 87 percent; and the percentage of children immunized with the Pentavalent vaccine increased from 88 to 98 in targeted municipal health networks. • Land rights have been strengthened, benefitting 15 of Nicaragua’s 21 indigenous territories in the historically marginalized Atlantic regions. From 2005 to 2013, through the Land Administration Project (PRODEP), over 104,000 people from 214 communities in five major ethnic groups benefited; 18 percent of the national territory was registered and titled with support of the project. • From 2009 to 2015, over 168,000 beneficiaries of the Greater Managua Water and Sanitation (PRASMA) Project gained access to reliable water supply and more than 62,000 gained access to sanitation services. In rural areas, from 2008 to 2015, more than 68,000 beneficiaries from the Rural Water Supply and Sanitation Project (PRASNICA) gained access to water supply and sanitation services. • A $133 million loan to improve healthcare in Nicaragua’s ‘Dry Corridor’ (the departments of Nueva Segovia, Madriz, Esteli, Matagalpa and Jinotega). It will fund construction, certification and equipment of hospitals, health centers, health posts and maternity waiting homes as well as actions to improve service quality and train Health Ministry staff members. • A project supported by the Gates Foundation, aimed at ending malaria in Central America. • A recently approved $72 million loan to improve access to potable water and basic sanitation in 11 cities in various departments and in the capital, Managua. The NICA Act could halt financing of the kinds set out above which are usually on ‘soft loan’ terms, with extended pay-back periods and low interest rates. All of the projects financed by the international bodies on which the US is represented are engaged in poverty-alleviation in some form, in a country which – despite the advances it has made – is still the 2nd or 3rd poorest country in the Western hemisphere. Furthermore, action by the US may well have a knock-on effect on similar financing by European bodies, such as the EU. The effects would not be felt by Nicaragua’s political classes, but by the poor majority of the population that such projects benefit. • The US has been party to the favorable opinions given by all the main international bodies on the way Nicaragua uses the finance that is provided, with no suggestions of money being diverted for other uses or used corruptly. Its action will therefore be seen as hypocritical, and contrary to the evidence gathered by bodies of which it is an influential member. • If the drive to reduce poverty were to be drastically affected by the NICA Act, then migration may well increase. As noted above, Nicaraguans contribute little to the undocumented migration that takes place from Central America to the US: this could well change. • If the US and international bodies “pull out of” Nicaragua, the way is open for it to receive more bilateral help from Asian countries, notably China, Taiwan and Japan, and from Russia. The US would undoubtedly lose influence in its neighbouring region of Central America. • By singling out Nicaragua for sanctioning via international bodies, the US would be seen as making a political act against a left-of-center government with which it disagrees, especially as the grounds for taking the action are so subjective and difficult to justify, and the action which Nicaragua must take to escape sanctions is vaguely defined and (effectively) at the complete discretion of the Trump administration. • Practically all Nicaraguan families were damaged in some way by the horrendous Contra War, illegally financed and supported by the US, which ended only 27 years ago. The US has refused to pay reparations for this war, despite being ordered to do so by the International Court of Justice in The Hague (World Court). It resumed its hostility to the Sandinistas and has questioned their electoral success ever since they returned to power in 2007. The NICA Act will be judged as part of a long history of the US undermining the 1979 revolution and the advances made by Nicaraguans over the past 39 years. Finally, every opinion poll or political analysis of responses in Nicaragua to the NICA Act shows that it is strongly opposed, not only (as would be expected) by the government but by public opinion, NGOs, the private sector, financial institutions, most other political parties, the churches, etc. It is clear that the Act will be self-defeating – it will not be received positively in Nicaragua itself, but will be seen as yet more hostile interference by the US in Nicaragua’s legitimate attempts to reduce poverty and develop economically and socially, with the assistance of international bodies. In effect, the United States will be seen as attacking the poorest people in a neighboring country as a simple act of political vindictiveness.